This close-up of a wee milkweed baby is also pictured in my newest card, which you can see in my Etsy shop here. She’s less than 2″ long. The best bedtime stories end with a sleeping child. This is a detail from the last illustration from my 2001 picture book, In the Heart. 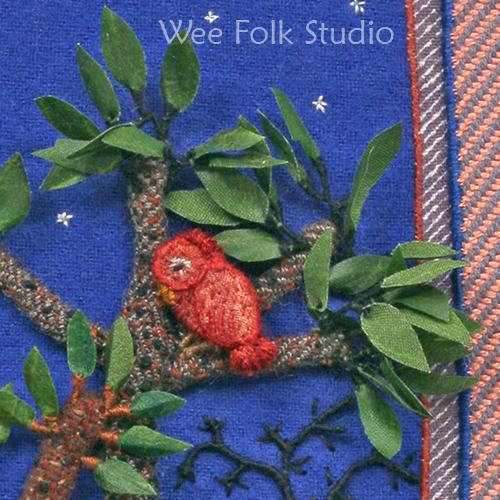 “Go to bed second, a golden pheasant.” detail from Pocketful of Posies. 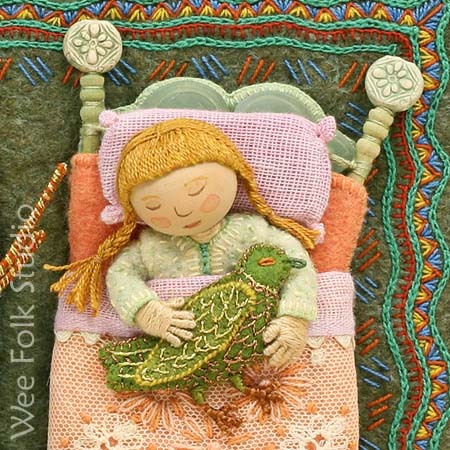 This sleeping bird is from my first book, The Way Home. Read about the making of this book here. 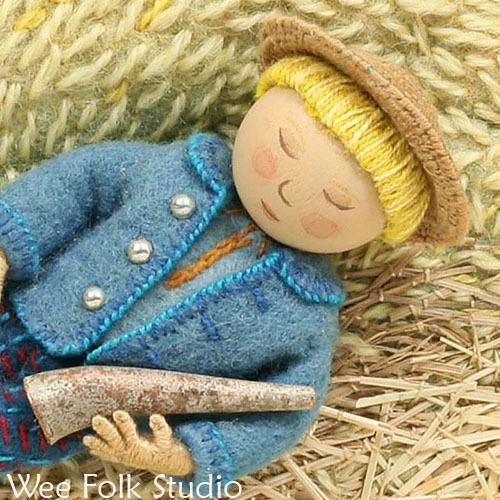 Little Boy Blue is asleep under the haystack. 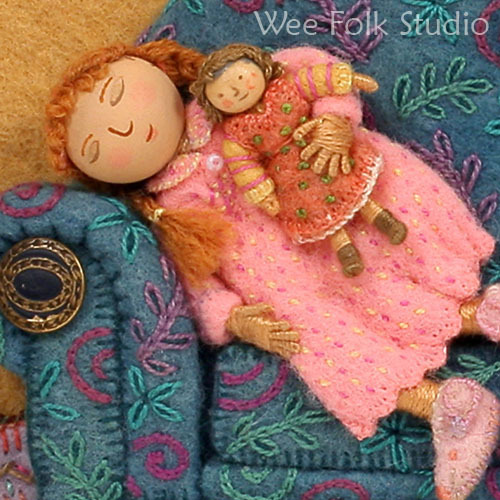 detail from Pocketful of Posies. “To bed, to bed”, says sleepy head. Detail from Pocketful of Posies. 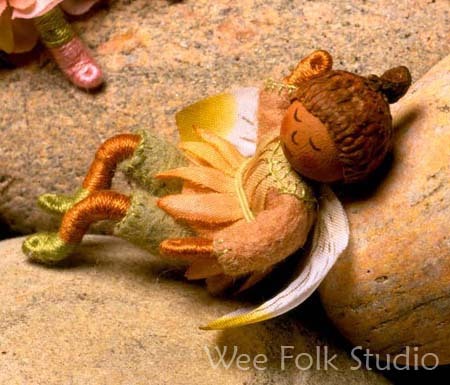 A slumbering fairy on the warm rocks. He’s 2″ long. One shoe off, the other shoe on, deedle, deedle, dumpling, my son John. 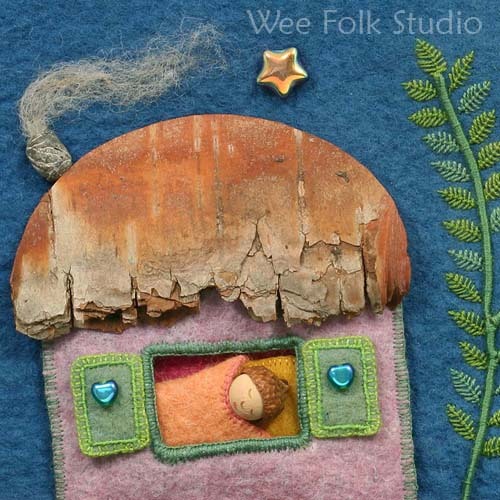 Detail from Pocketful of Posies. Are the children in their beds? 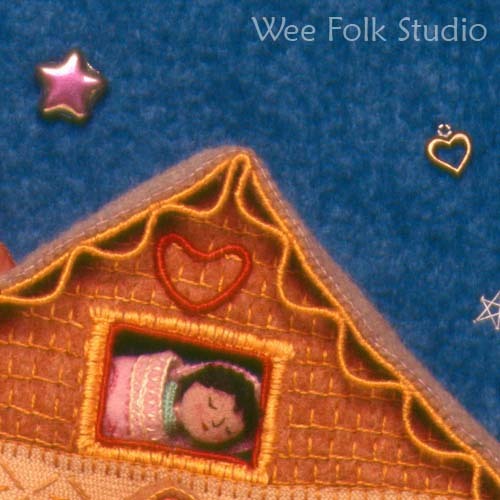 Detail from Wee Willie Winkie board book. 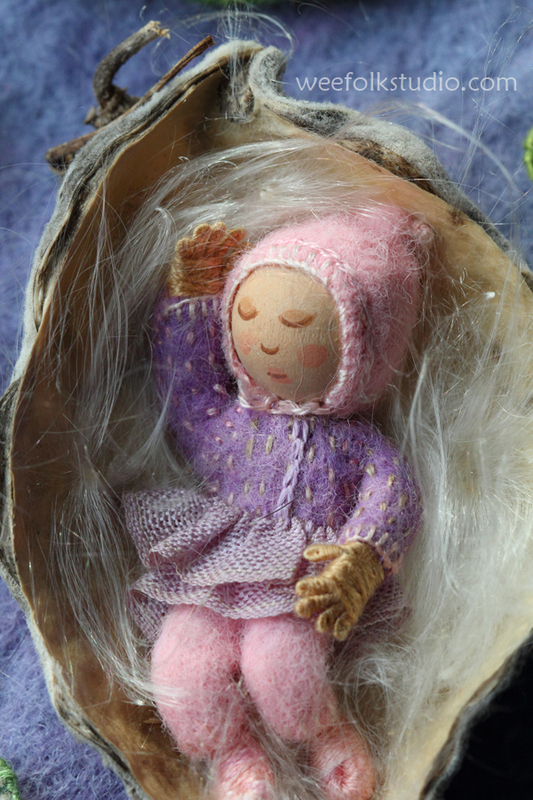 This entry was posted in Children's Books, Closeups, Dolls, Embroidery, Felt, illustration by Salley Mavor. Bookmark the permalink. Your work is just oh so dreamy!!!! Love it. Heart warming Salley, all these sleeping beauties !!!! Я восхищаюсь Вашими прекрасными,душевными работами!! !Столько труда.,терпенеия …вдохновления и любви вложено в каждую работу! Удачи и творческих успехов Вам! This blog is perfect for winter time…as well as this season of flu! 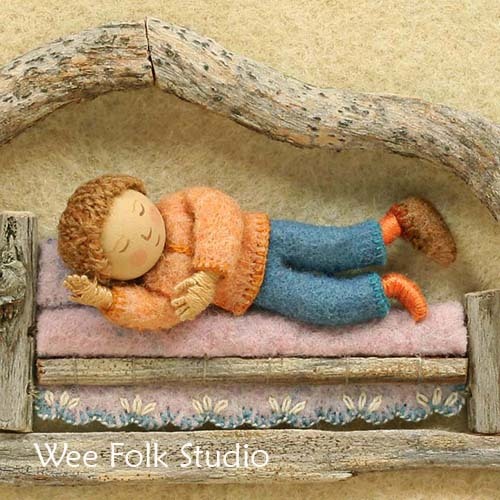 Even with a flu shot, I have been doing extra sleeping and laying around, just like these dear “Wee Folks”, as I tried to deal with a mutant form of the flu perhaps. The malaise and lethargy has been the hardest part since I like being busy. But then again, it’s the perfect opportunity to get inspired as one tries to emulate Salley! Thanks again for all your amazing blogs and inspirational ideas. How Beautiful Salley. You are an artist to the 10th Power.. Amazing work and details.. I loved seeing all of the close-ups of your sweet little ones. Thank you for posting them. They are just precious, Salley! I am going to your Etsy shop to see what you have there. It is such fun to see the work of your hands and heart.